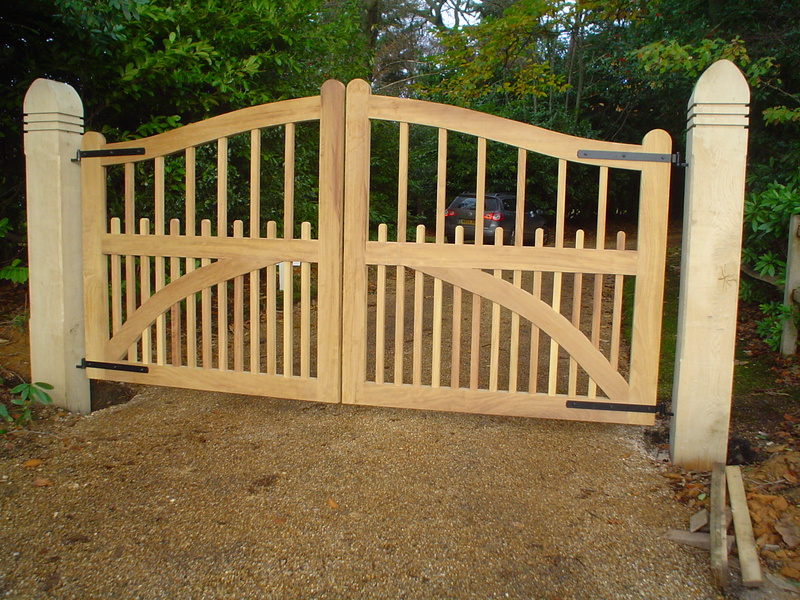 We have been making gates in West Sussex for decades. 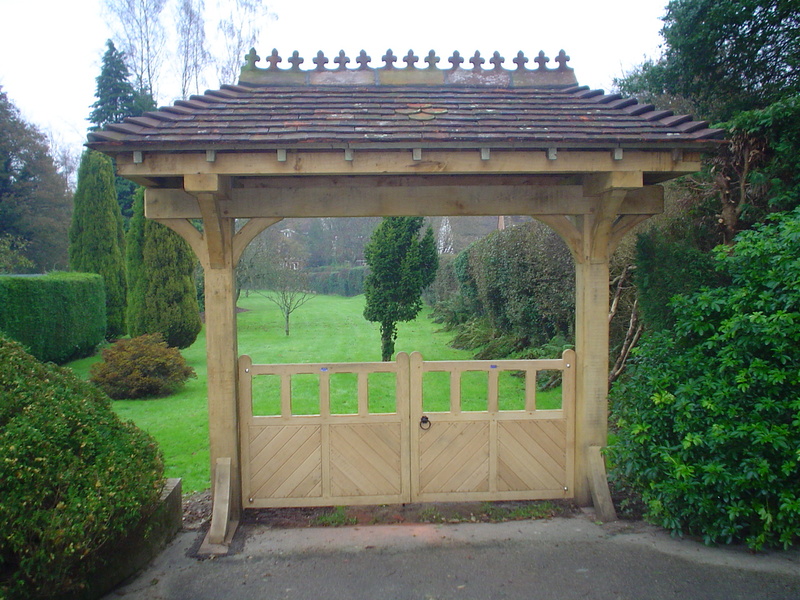 These are mainly in hardwoods and Oak in particular, but we also construct bespoke softwood gates where our customers require them. The gates are made using skills that have been handed down over the many, many years and quite a few employees. Walking or driving around the lanes of West and East Sussex, Surrey and Hampshire you can often see our distinctive blue gate tags on the top bars of gates. 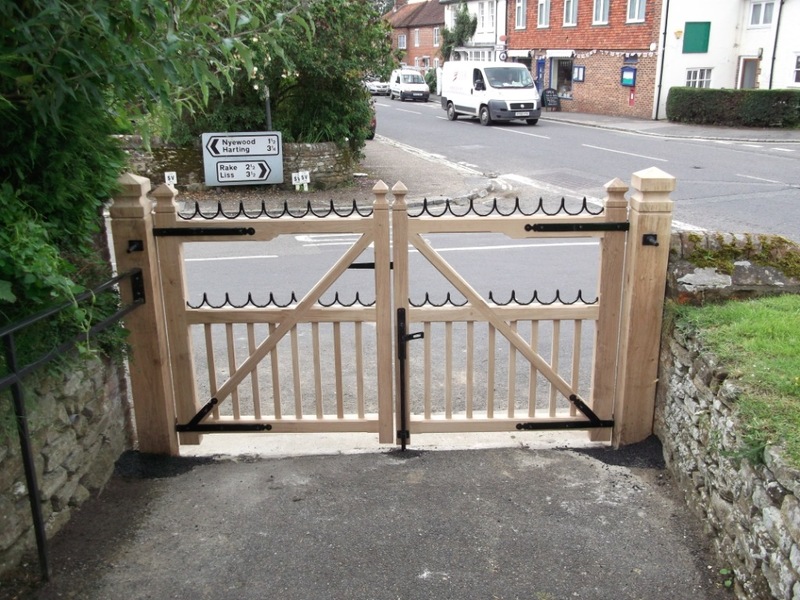 Recently, we were asked to replace the gates at Rogate Church in West Sussex, together with the church yard gates. 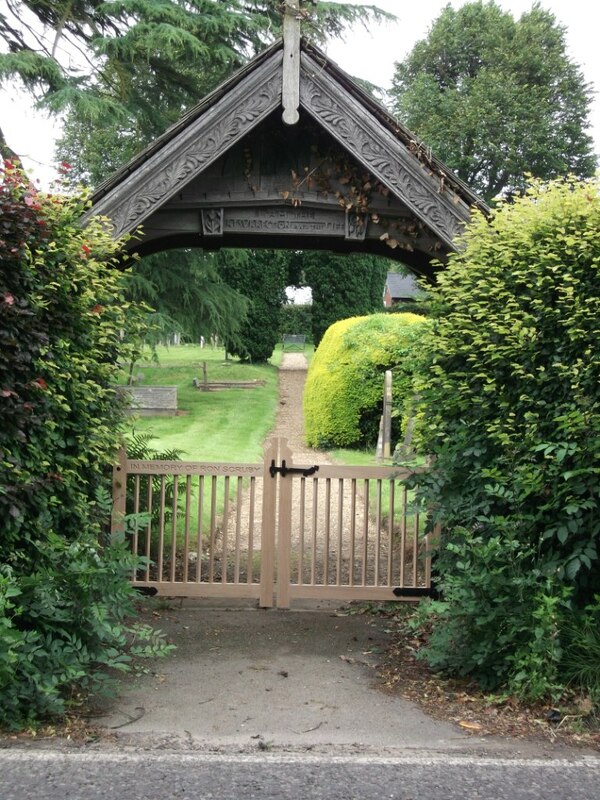 These were quite an unusual design and the Parish Council wanted them replicated and for the top rail to be engraved as a memorial. 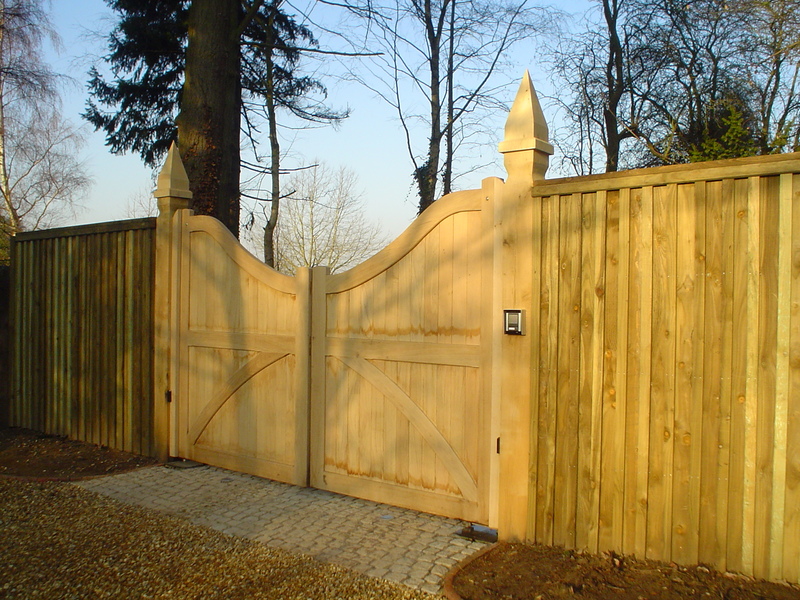 One of our strengths is that we are able to take an existing gate and copy it, sometimes we have to make slight changes that make it a stronger gate, but generally we can copy like for like. 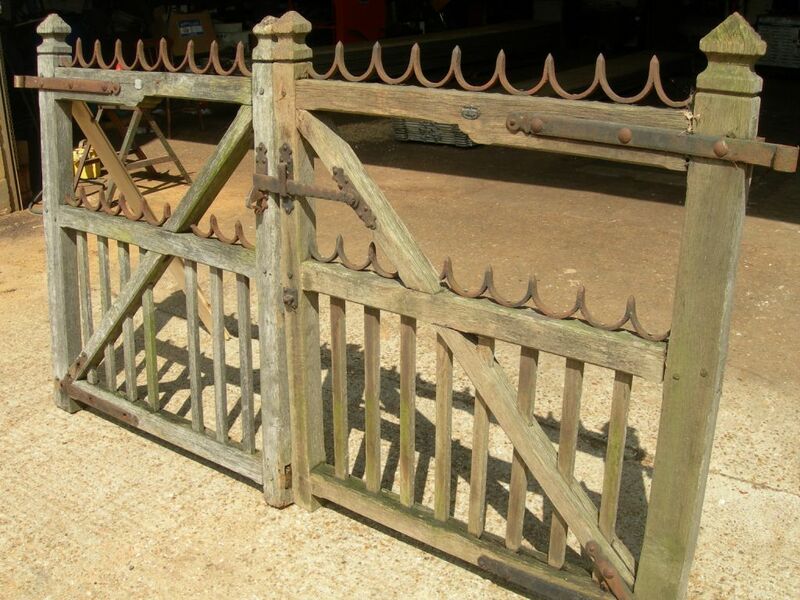 When we recovered the old gates they had some interesting ironmongery on them, which we carefully removed and restored ready to be fitted on the new gates. There proudly sitting on the top rail was one of our old oval gate tags. 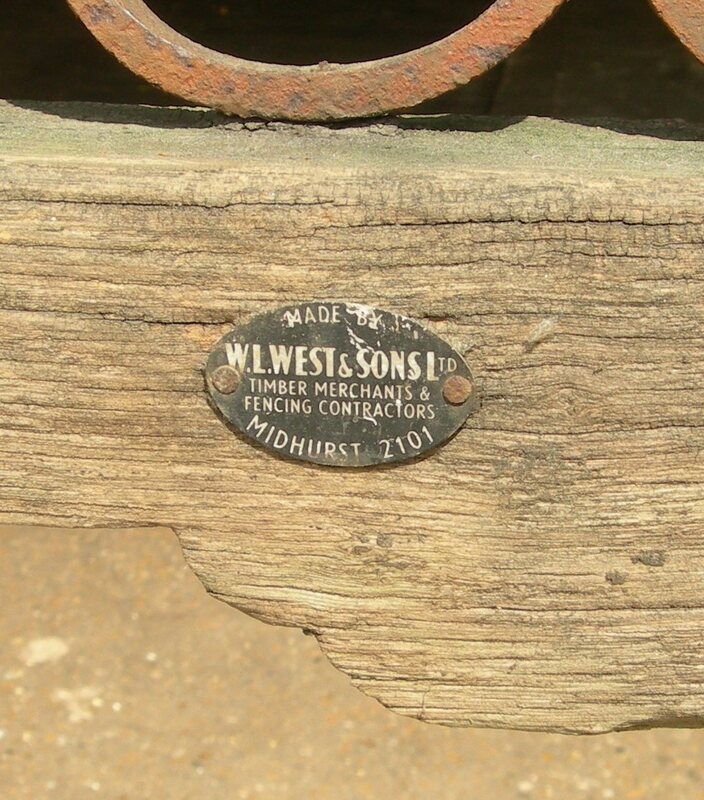 On closer inspection it had our original Midhurst telephone number on it, well we moved out of Midhurst in 1986 and the gates were installed many years before that. So, we estimate that they were at least 40 years old and they were still in reasonable order. 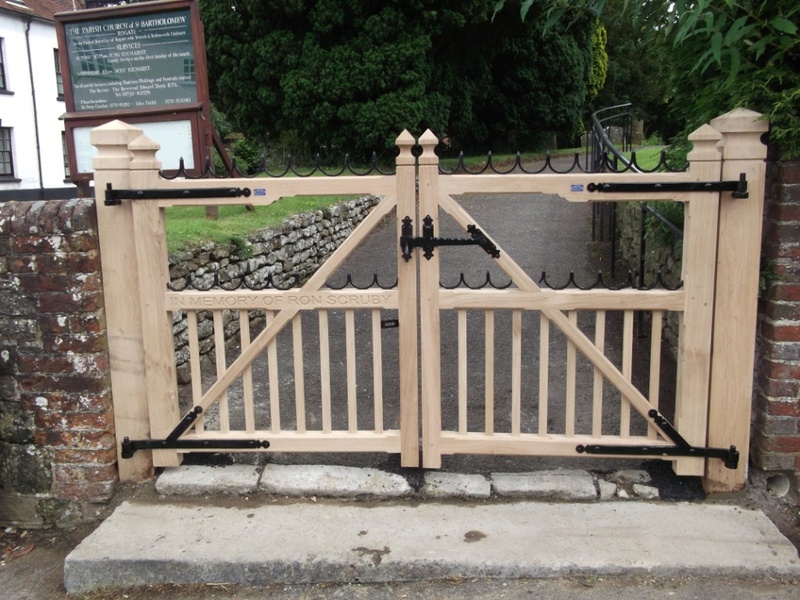 So our gatemaker went to work and produced two superb pairs of replacement gates. They were fitted by our own fence erectors and now sit looking forward to at least another 4 decades. 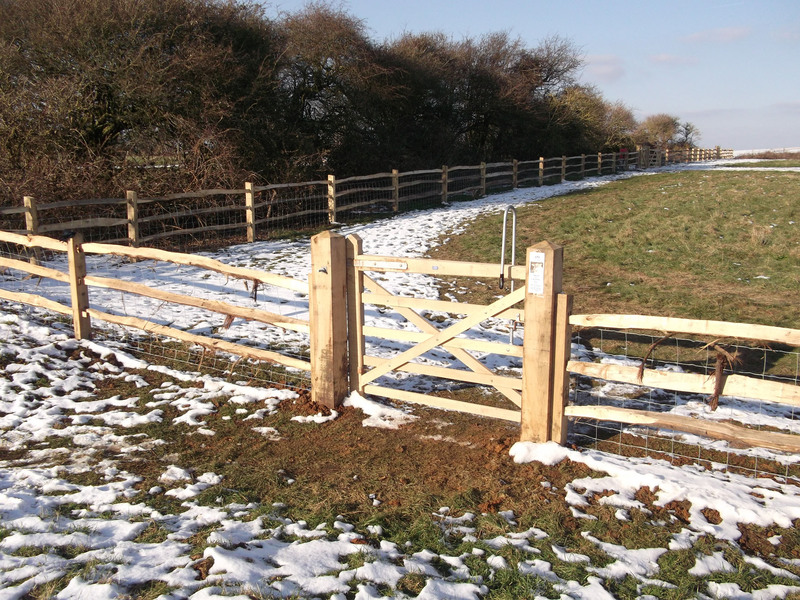 We can make a variety of different gates from field and hunting gates, to panel driveway gates to specialist gates as I have demonstrated above. 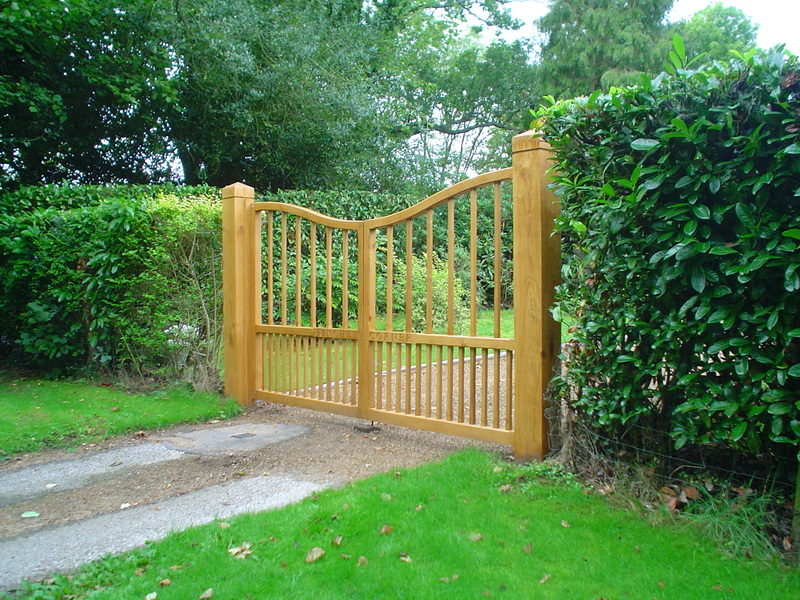 Below is a selection of the sorts of gates that we have made, something to wet your taste. 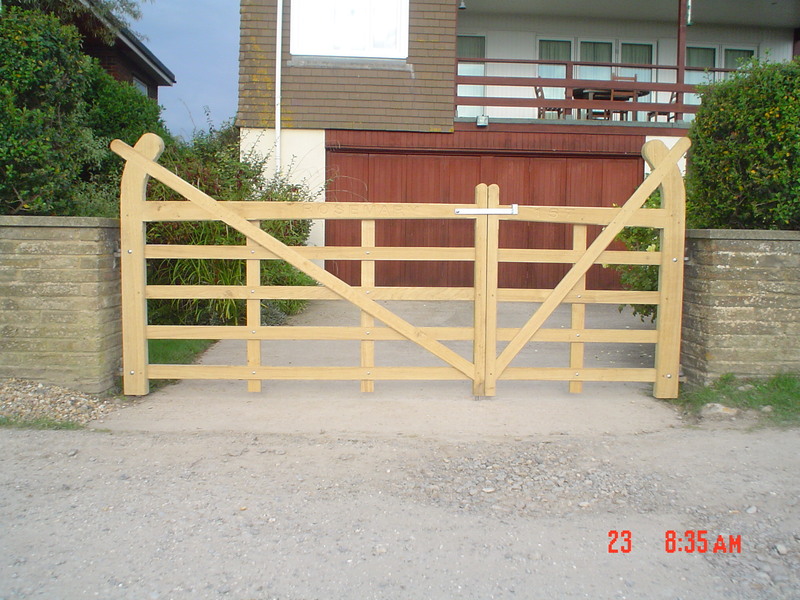 Have a look at our website Gate Page (click here) to get an idea of other styles of gate. 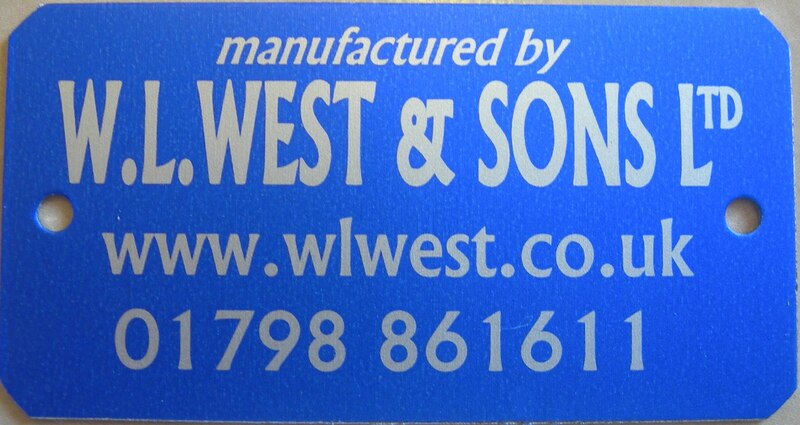 I mentioned above engraving, this is something we can do for footpath signs, house signs and indeed gate backs. All we need is the names that you want engraved, we do the rest. Indeed, we are able to undertake sign engraving onto timber for a variety of uses. Call us with your enquiry; we are certain we will be able to meet your gate enquiry.